How do I activate the SIM or USIM card on Samsung Z4? My Samsung Z4 touchscreen responds slowly or improperly. What do I do for this? 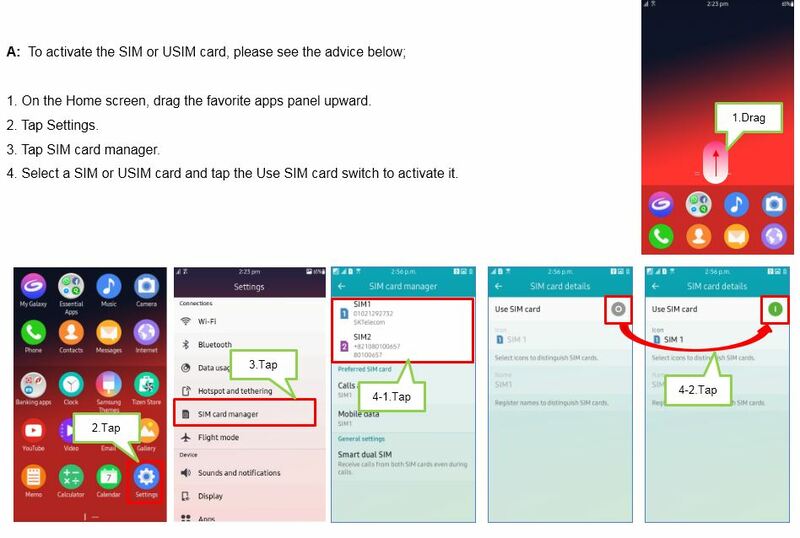 How do I remove the SIM or USIM card on Samsung Z4? What is the difference in the status bar between Samsung Z4 and Android?